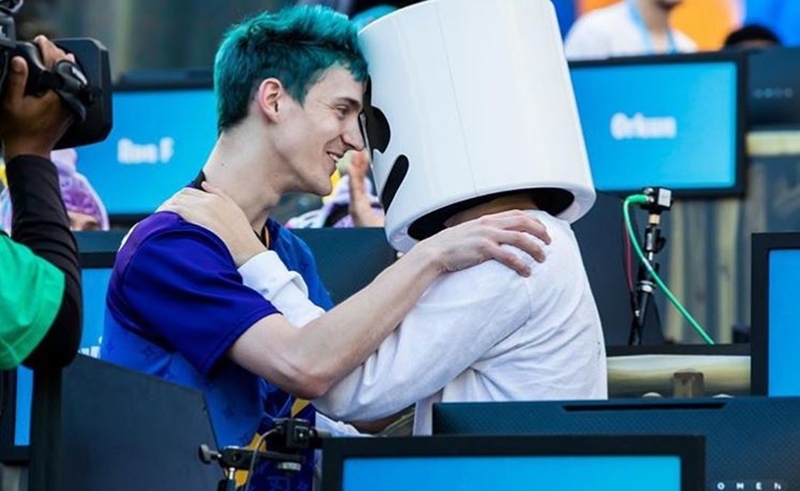 After appearing together on YouTube’s annual E3 live stream, gaming megastar Tyler ‘Ninja’ Blevins and noted DJ Marshmello took home top honors at Epic Games’ first-ever Fortnite Celebrity Pro-Am tournament in Los Angeles yesterday. The tournament paired pro gamers from Twitch and YouTube with amateur celebs, and the winning team took home $1 million for the charity of their choice. Ninja (who donated his share of winnings to the Alzheimer’s Association) and Marshmello defeated 50 other teams comprising the likes of Ali ‘Myth’ Kabbani, Joel McHale, Pete Wentz, and Lil Yachty, notes Forbes. The event consisted of three rounds: a solo practice round (which was won by NoahJ456), a duo practice (won by Solary Kinstaar and MMA fighter Sean O’Malley), and then the flagship charity duos match. Forbes notes that the event served as a predecessor of sorts to the just-announced Fortnite World Cup — a tournament slated for 2018 and 2019, for which Epic Games previously announced that it would hand out $100 million in prize pools.